A plush, comfortable slipcover for all HowdaSeats and HowdaHUGs, the Shearling Liner provides soft comfort to the back and bottom. The liner is particularly helpful for backs that need softness around the shoulder blades and under the arms. 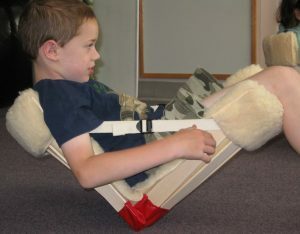 It’s also a treat for “sensory” people who need softness against their bodies. 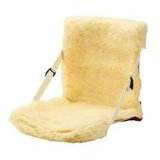 The Shearling Liner is a plush, comfortable slipcover for all HowdaSeats and HowdaHUGs. 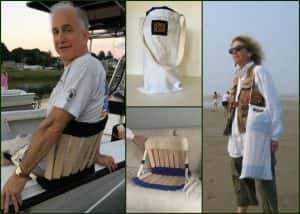 The liner provides soft comfort to the back and bottom and is particularly helpful for backs that need softness around the shoulder blades and under the arms. 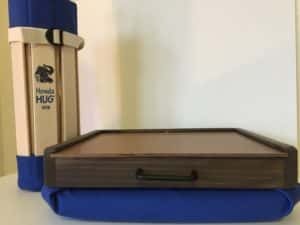 It’s also a treat for “sensory” people who need softness against their bodies. 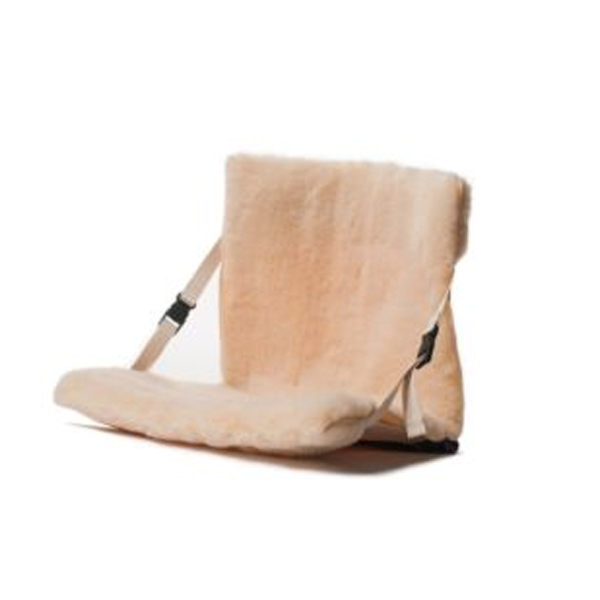 The Shearling Liner is washable in cold water – do not use a dryer for drying, air dry. Select your liner based on the size of chair you already own or are purchasing today. 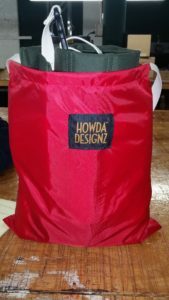 Helpful Hint: If you would like to carry your HowdaSeat or HowdaHUG with the sherling liner the XL Shoulder Carry Pouch (Shown here in red) will accommodate both perfectly. 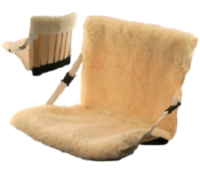 “We love the shearling liner for our HowdaSeat. We’ve used it at a parade, on the beach and at home on the couch. 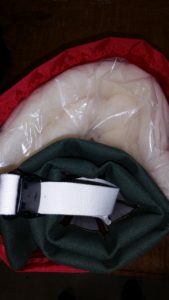 Thanks for the new accessory.” K.G. 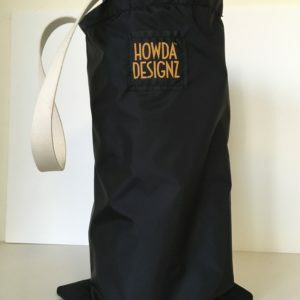 Read more about what customers have to say about Howda Designz product here.